In case you haven’t noticed, things are looking a little different around these neck of the woods! My website got a little makeover, and I’m so happy with it’s new, clean, bright look! I’ve been slowly moving into a new brand this year (keeping the logo and pup, but changing up the colors) and it’s so nice to now have a cohesive feel. Instagram (each item below counts as an entry)! Post an image of your handwriting in a neat, creative way with my handle @laurenessl and #blueeyebrowneye (so I can track you)! 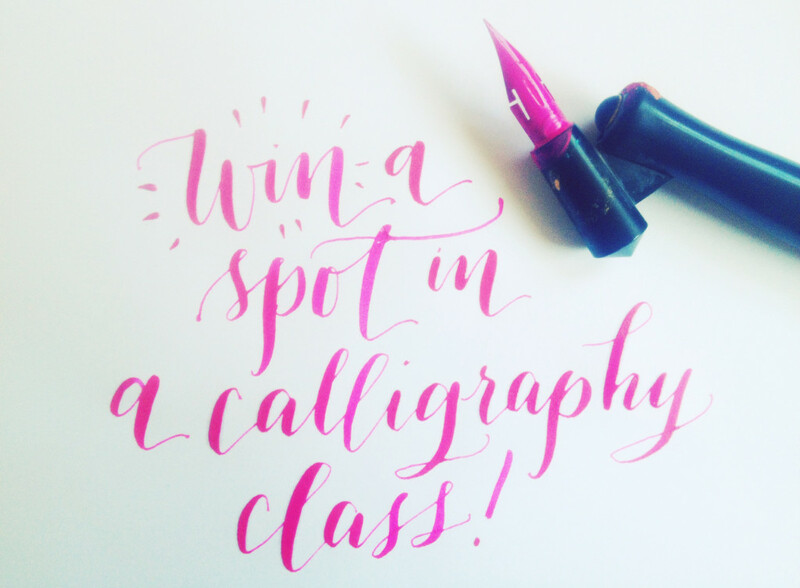 Tell me why you want to learn calligraphy! Or, comment on the image on Instagram! The winner will be selected at random and announced Friday! Facebook (each item below counts as an entry)! Please note, I welcome all entrants, but travel will not be covered for these spots. You’ll have to get yourself to good ol’ Fort Worth! I wish I could give everyone a spot, but these will be truly random choices! Excited to have y’all!